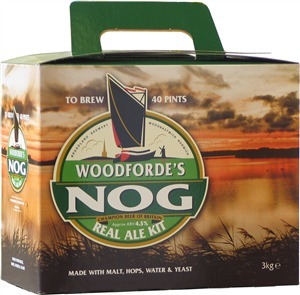 Norfolk Nog is a dark, full bodied, red brown beer with plenty of flavour and aroma. Roasted malts complement the sweeter components of the palate. A superb and warming beer giving bags of character and flavour with a long dry finish. Hints of fruit, rich caramel and malt add satisfying complexity to this beautiful dark ale. Woodforde's cask conditioned Norfolk Nog won the highest possible acclaim when it was awarded CAMRA's "Champion Beer of Britain" in 1992/93 and World Beer Award's 'World's Best Old Ale' in 2009.